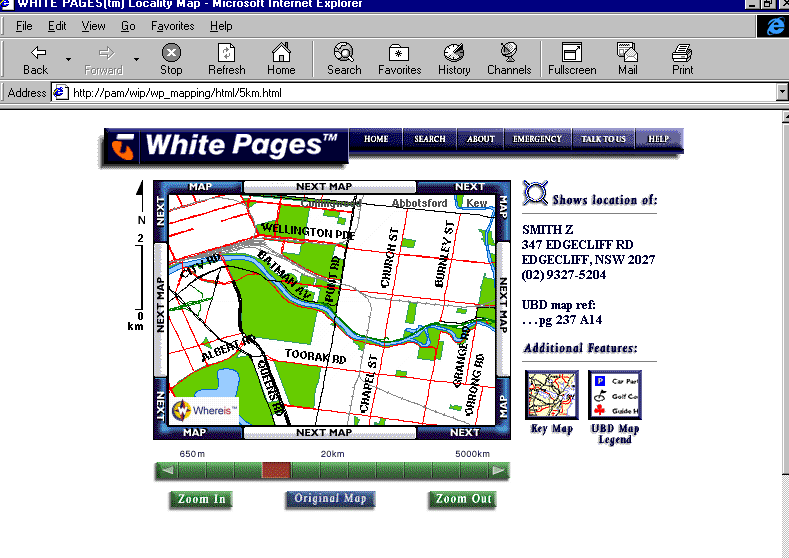 While managing Whereis.com Mark was involved in a number of interactive mapping activities. Mark was primarily responsible for design, functionality, map database construction, management and operations, while working closely with a developer (who did the complex coding). Some projects involved liaising with numerous external clients. 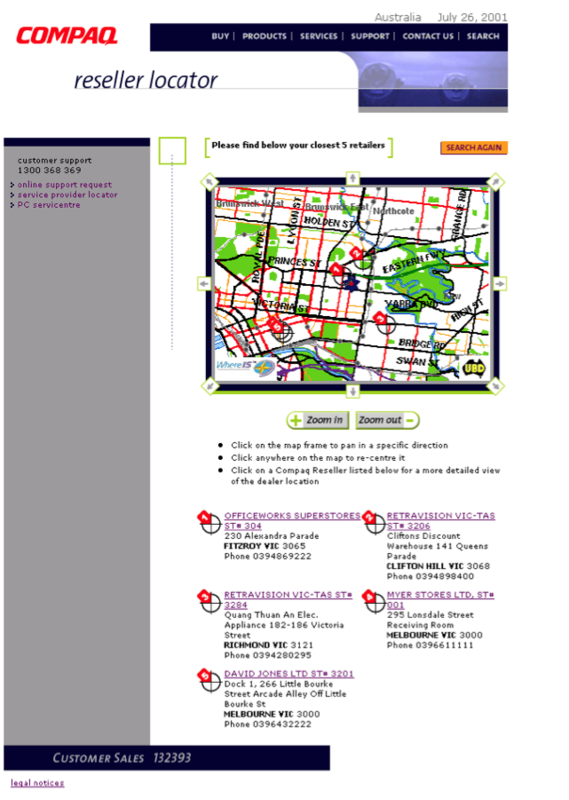 As it was relatively early in the evolution of the Internet (late 90's), it was considered innovative for its time. 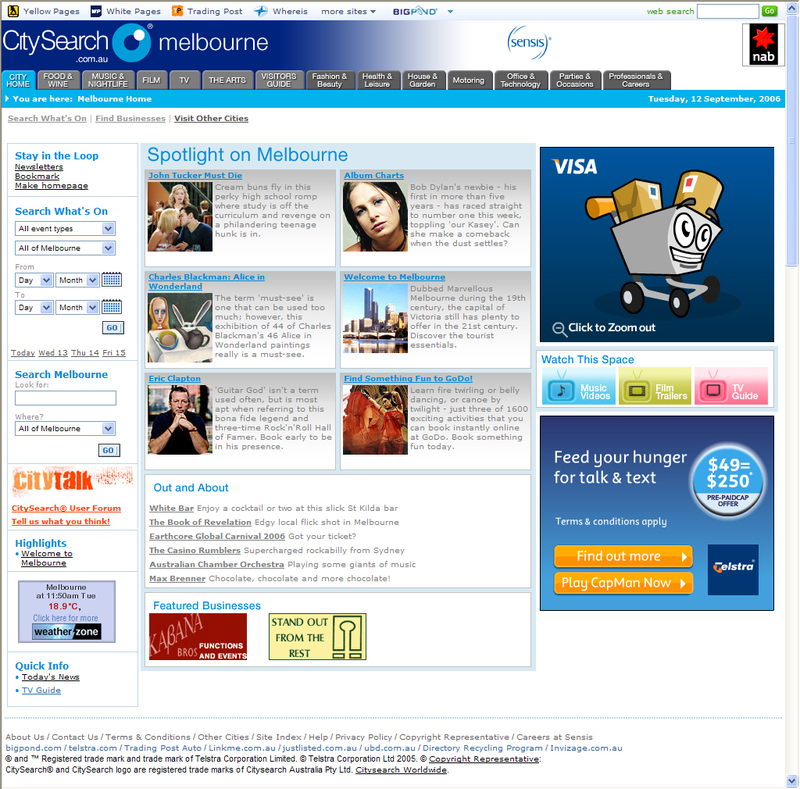 The other major site managed at the time was CitySearch.com.au - this was a much more content driven site supported by a Content Management System. 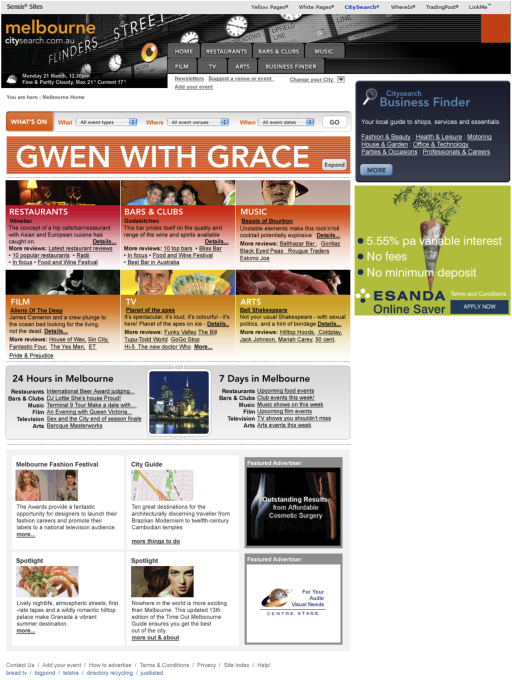 A great deal of time was involved sourcing content from a number of suppliers. 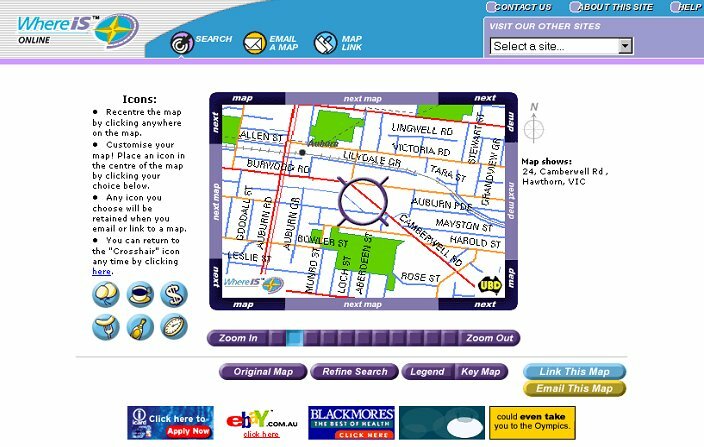 Work was also pwrformed for YellowPages.com.au and WhitePages.com.au - mainly the integration of mapping aspects.